First of all I want to say congratulations to Sharon Taylor and all the people who have worked so hard to bring ITIL Version 3 to fruition. The task is by no means over, with the online offerings, the translation, the certification, the party in Sao Paulo, and all the complementary guidance still to be sorted out, but this is clearly a huge milestone achieved. One ITIL V3 author told me I am a "terrier snapping at the heels of the establishment", and I know that hurts the owners of the heels. On a personal level I'm sorry for those I hurt who act honestly with the best interests of the ITIL commnity at heart. I hope you can believe that I respect what you have done with ITIL Version 3 - it isn't perfect and I don't agree with everything, but it is a magnificent body of work. Again, congratulations! For those who act with selfish or corrupt motivations, I have no sympathy. The blog's primary purpose is not to expose you, but I don't mind if that is a secondary effect. I don't think I'm obsessed. I am, in effect, a journalist. Not that I chose to be but that is another story. There is a huge vacuum of open discussion and debate around ITIL that this blog seeks to fill. The Refresh is the big story, the topic on everybody's lips right now, so I report it. Or maybe I'm obsessed. Let the readers judge. You imply that I am delving into unimportant minutae. Tell that to the Japanese and the Canadians. I for one would be interested in the reasoning behind the change [of countries for the launch roadshow] and I bet they would too. It's called "transparency". That is this month's theme, transparency: whether it be transparency of the process of creating ITIL V3; transparency of the decision-making processes behind ITIL; transparency of the governance of the vested interests feeding off ITIL; or transparency of governance of the association which is supposedly owned by us, its members (even if it does not, by definition, exist to represent our interests). What are training vendors supposed to say to people who ask them for V2 training? What are the new consistent rules for accreditation of training organisations for V3? What is the formal commercial relationship between OGC and itSMF and between TSO and itSMF? On what basis is itSMF organising the worldwide launch of V3 instead of OGC? Why do the eight Global itSMF members (all poor, down-on-their-luck international mega-corporations) get deep discounts on V3 that go a long way towards paying back their subscription, while local branches carry the burden of servicing their staff without reimbursement from itSMFI? What are the allegations against itSMF USA's last Board elections? How long has the Board really known about them before finally being forced to act? What were the vote counts by IPESC for the V3 books, and what were the comments and discussions around them by the people who represent we itSMF members? How was the architecture of V3 derived from the 400+ submissions? Can we see the submissions to draw our own conclusions about what the user community wanted? What were the views of the reviewers of V3? Where are the annual report and audited accounts of itSMFI? Given that TSO is now a private operation owned by German banks, what is their contribution to the costs of the V3 Launch? There is plenty more where that came from. The culture of ITIL's various organisations is trapped in the bureaucratic, secretive, patronising mindset of its origins. When ITIL is eventually displaced or absorbed by what comes next, one of the driving forces of the new model will be the open, inclusive, community-focused culture of the 21st Century. The new kids don't stand for that crap. And the internet renders it impossible. I hope my blog will help prove that. These are the IT Skeptic's picks from the comments of May 2007. We had a troll, several authors commented, including David Wheeldon (the others chose to remain anonymous but I can deduce a lot from IP addresses), someone called me a monkey, and I had to take a couple of posts down as libelous or personal attack. Fun month. I've selected a lot of comments again this month. There is so much good stuff I hate to cut it. I don't agree with it all but it is all good food for thought. Please let me know if it is too much. IT is changing at a much faster rate than any other technology or science right now. if your doctor got his degree when leeching was the prefered treatment, then yes just maybe he should re-qualify... This is NOT the same as a car dealer selling off the '06 models because the '07 models are about to be released. V3 is not a matter of a few chrome strips or even a slightly larger engine. We are switching from petrol to hybrid hydrogen, the body is all fibreglass, it seats 7 instead of 4, there are 16 more airbags, and the '06 models will not meet the new safety or emission standards but the '07s do. Should the dealer tell me that before selling me an '06 model? ...since we are supposed to be the gurus of process, I think allowing our own internal process to be "full speed ahead and damn the torpedoes" is less than satisfactory and does not reflect well on the industry. We will indeed survive this, but we may end up looking like idiots. itSMF seems totally under the thumb of the s l o w - moving Brits... itSMF USA, where the bulk of the money comes from, might see fit to represent their members. Otherwise, what, precisely, is their purpose? Why would the USA support a British standard? How appropriate that this mal-adjusted and inappropriate event was cancelled. With self proclaimed ITIL "profits" and "Phophets of Doom" on the agenda the event is well deserved at the bottom of the ocean - RIP! May the Boston conference and all those who planned to sail never surface again. Interesting that this originated from a roaming IP address in...Gives me a pretty good idea who is calling me a monkey. If I ever descend to this kind of childishness, I hope you good readers will call me on it. Evidently the five V3 books have about 2000 pages between them - given that some are repeated (common intro and glossary) that still leaves about double what is in the core of V2. Add to that a completely new set of subject matter (Strategy and CSIP) and this makes some comments about "1 day bridge and 20 question quiz" laughable. It also make the stated V3 Foundation exam spec of 40 questions extremely unlikely to test the full content as required by BLOOMS TAXONOMY. As the philosopher once commented on rock bands, "...as long as they are fighting about the music and not the money..."
...If people and companies really want to sink their teeth into something look at, ISO, COBIT, etc… These standards have certifications that really mean something. ...it will be interesting to see how well the concept of "Chinese walls" has been applied or enforced. One ATO announced on this blog that they had already developed and piloted their initial (I assume Foundation) V3 training by the 1st of May (a couple of weeks after OGC released the materials) whereas another ATO is rumoured to have only received their V3 materials on 14th of this month. And I know of one IAG member from a [software] vendor organisation [not an ATO] who has read all five books [by early March]. Wow. This thread has descended into a forum of high-school girls where one group gossips and snipes at the group they don't like. "In fact, I heard..." should never end with "...proves my point." (Very catty.) A reasonable google check shows that 50% of the authoring team members have no prior involvement with the "old ITIL culture." (Gossip should hold up to minimal fact checking.) HP, FoxIT, Accenture, and Carnegie-Mellon let their boys run off the reservation? Yeah, must have happened during the lunch-break. "Vendors have a right.." Please, the only thing vendors have a right to is, well, to be vendors (and take me to lunch). If IBM spent billions building products on ISO/IEC 20000 or CobIT, do they have a right to be involved in that development? Dell spends billions on products for Windoze. Where is their outrage for missing the Vista development sessions?...Skeptic - This used to be a classy place, what happened? The world already has a MySpace. Thank-you Dool. Every-one gets their say so long as it is not actually defamatory (or personal - I'll edit personal). I find Alan's post interesting and your response salient - let the readers judge. This blog is about open debate. (but I do think "pass their use-by date" is a cheap shot without evidence)...I strongly disagree with any policy that says vendors are subhuman. First I think it is arbitrary to define a vendor, therefore it is discriminatory to do so. Second I think it is insulting to the decent vendors out there to suggest that they are incapable of conducting themselves like civilised human beings... I'm not sure this was ever a "classy place" but I aint gonna edit no posts just cos they aint got class. ...When ITIL V3 is written with the intention to have one best practice I feel we are on the wrong path. Let's be creative and describe different possibilities, it becomes less "religion" and more useful practice(s)... Be creative and be open to different opinions. we might learn something. ...Even though OGC are trying to make V3 more integral than V2, it is a good bet that users will concentrate on the Service Transition and Service Operations books, in the same way as we focus on the red and blue books in V2, so that V3 will have its own "lost processes", as I call them. If true, this will serve to mitigate the increase in scale considerably. ...With known exceptions, most of the team have one aspiration in mind and that is to enhance their own perceived standing in the ITIL 'community'. For some, ITIL is a tool that can be used to enhance the quality of service, for others it is a business class, round the world junket!!! Now there is scepticism for you!!! ...In a way, that's not so bad: if V3 tanks, then all their authoring is for naught, so you could argue they have more at stake than a starry-eyed author who just wants to act for the good of humanity. More damage has been done with the best of intentions... Now there is cynicism for you! ...The OGC are directly responsible, they spend 3 years writing and 3 weeks trying to implement: Ever heard of Service Introduction chaps!!!! The scale of ITIL Version 3: are people ready for it? People are starting to realise how different ITIL Version 3 ("The Refresh") is from ITIL Version 2, and how much more extensive the scope and ideas are. It is all good, but are the public prepared for it? All this British public service "you'll know when we decide it is time to tell you" stuff is not how new versions of all standards/frameworks are developed, and I don't think it is best practice. If you are a visual person like me you may find a diagram helpful in understanding just what ITIL Version 3 means, what has changed. The diagram has been moved to here (it's still free!). The IT Skeptic is now collecting everything I can find out about ITIL Version 3 on one reference page. It will apppear on the RSS feed whenever it is updated, or else if you register you can subscribe to notifications at the bottom of the reference page ("subscribe post"). 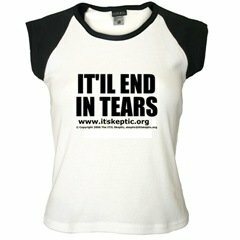 The IT Skeptic is a commentator on IT's sillier moments, especially those related to ITSM in general and ITIL in particular. This is not because the IT Skeptic wishes to focus on ITIL - it is just that ITIL and itSMF provide such great material for a skeptic. The IT Skeptic is the pseudonym of Rob England, an IT consultant and commentator. He consults in all areas of IT management, including governance, ITSM, and DevOps (he's a certified DevOps Foundation instructor). He has nearly thirty years experience mapping business requirements to IT solutions, many of them in service management. He has written many articles and papers, and several books. He is a member of itSMF, ISACA, and the NZ Institute of IT Professionals. He is also a paid-up Skeptic. He has lived an exciting life. He lives with his son in a small house in a small village in a small country far away. An interview on ITSMTV with the IT Skeptic: background and persona. Using Yahoo's new beta tool Pipes, the IT Skeptic has built his own custom ITIL news feed. You can share this feed to bring you your daily ITIL news if you wish, simply by subscribing to the RSS feed. Alternatively the geeks amongst you may prefer to build your own pipe with this pipe as input. I am aiming for as wide a net as possible to obtain all news of general interest regarding ITIL, CMDB and ITSM. I hope this pipe is useful for you. Enjoy! Don't fall for the demo: anyone can set up an asset database with enough relationship bells and whistles on it to fool themselves and others that they have a CMDB. People set up a CMDB and either grossly overspend beyond any reasonable ROI to complete it, or settle for the delusion that an asset database is a CMDB. The vendors of service desks sell an asset database that looks a bit like a CMDB then claim all the benefits of a CMDB. The IT Skeptic does not doubt that some vendors have been up to some things that are not in the interests of ITIL. Does that reflect on the books themselves and how does it impact the ITIL community? At the US Pink Elephant conference, Sharon Taylor, the Chief Architect and Chief Examiner of ITIL, listed five common myths about ITIL V3. I thought I'd make it clear that none of them came from this blog. I may be bombastic at times but I'm careful that the facts are right and I'm willing to correct when they are not. So I was a bit worried that any of the myths might be pinned on my door. But as she went through them I was relieved to cross them off. In preparation for the release of Microsoft Service Manager (previously known as “Service Desk”), Microsoft made a surprise joint announcement today with IBM. How badly is ITIL damaged by vendor influence? What needs fixing? IBM is a founding member of the ITIL research committee and still actively involved in the support and creation of new library materials including ITIL, Version 3. The CMDB Tidal Wave? More of a ripple. Dodgy stats and talk-up-the-market hype mar two otherwise interesting articles on CMDB. I knew I should have held this month's newsletter a few days. 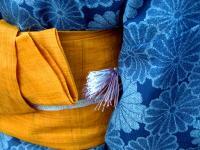 The moment it is published with another tirade about the lack of support information and direction in ITIL certification, APMG finally open the kimono. Yes everything you have heard all over the web these past few months is true! The IT Skeptic is having a Version 3 Refresh today. Oh my! 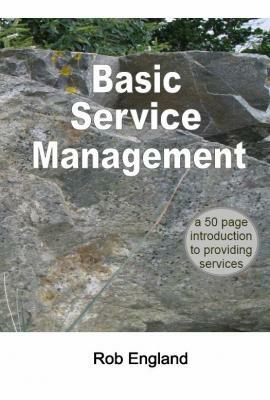 another entrant in the ITSM skeptic stakes: Ian Clayton at ITSMI is now blogging. Given the other blog I mentioned today, it is getting to be a busy field. I've never seen ITSMBOK™ but readers might like to check out this webinar to learn more about a 550 page book that seems to be an alternative set of guidance (and an alternative organisation ITSMI™ and certification CSMP™). Be quick it is Thursday May 17th. Microsoft has made a practice of attempting to patent the obvious, not least of which is CMDB, but a recent court ruling gives hope that those they do obtain can be invalidated. SLAs are not as widely applicable as ITIL would have us believe. The Catalog is. SLAs work in large siloed formal organisations such as ...oh um... big British mainframe sites of the 1980s. 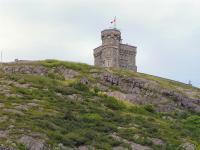 itSMF announce all seven global ITIL Version 3 launch events only weeks away so book now! The ITIL Version 3 Launch website has announced details of all seven launch events. The last one is only seven weeks away so book now. These have changed from the early plans the IT Skeptic described here. USA wins, Canada loses. Korea chosen over Japan.